Israeli Prime Minister Netanyahu on Sunday called for creation of a limited Palestinian state for the first time, saying it would have to be disarmed. JERUSALEM -- The White House is welcoming Israeli Prime Minister Netanyahu's call for creation of a Palestinian state. Netanyahu said in Jerusalem that he would support a Palestinian state as long it is demilitarized and guarantees Israel's security. "In any peace agreement, the territory under Palestinian control must be disarmed, with solid security guarantees for Israel," he said. "If we get this guarantee for demilitarization and necessary security arrangements for Israel, and if the Palestinians recognize Israel as the state of the Jewish people, we will be willing in a real peace agreement to reach a solution of a demilitarized Palestinian state alongside the Jewish state," he said. White House spokesman Robert Gibbs said Sunday that President Obama welcomes the speech and is committed to two states: a Jewish state of Israel and an independent Palestinian state. Up to now Netanyahu has resisted endorsing the creation of a Palestinian state as part of a Mideast peace settlement, drawing intense pressure from the Obama administration. Netanyahu also said the Palestinians must recognize Israel as a Jewish state, and he declared that the solution of the Palestinian refugee problem must be "outside Israel." Palestinians claim that refugees from the 1948-49 war that followed Israel's creation and their millions of descendants have the right to reclaim their original homes. "I call on you, our Palestinian neighbors, and to the leadership of the Palestinian Authority: Let us begin peace negotiations immediately, without preconditions," he said. "Israel is committed to international agreements and expects all the other parties to fulfill their obligations as well." 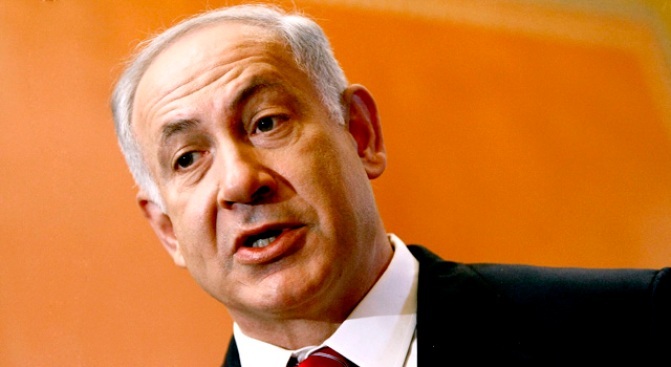 Netanyahu also called for Arab leaders to meet him and contribute to Palestinian economic development.